"Story is the most important part of any film, especially now since they keep getting easier and cheaper to make every day." Could you offer some information about your career? Such as your education, companies you worked at before and what you did in these companies? My education and career track has been a mixture of technology, art, story and following my bliss. I started as an engineering major in college since my parents refused to pay for art school. I thought I would make cool robots. All of my new friends in college were artists in bands and I became a DJ at the local college radio station. I was the only girl in many of my engineering classes. After about a year and a half of not liking my classes, I had a realization that being an artist would be way more fun than being an engineer. I started taking classes in art, philosophy, Hindu mythology and literature, then ended up with an English degree from UC Berkeley. My parents and I agreed I would go to law school next, since they were very worried about this whole art and writing thing I was heading into. I would starve as an artist they said. I spent the summer working as a legal assistant and decided being a starving artist would be way more fun than being a lawyer. I told my parents I needed some time to think about law school and then spent two years backpacking around the world mostly in Southeast Asia. I took a lot of pictures, met a lot of people, saw a lot of temples and spent a lot of time surfing perfect beaches. To pay for things I created a little import export business into Europe with my own clothing and jewelry designs. After getting tired of living out of a suitcase, I moved to LA on a whim for the warm weather and got a job at a very hot advertising agency on track to become a copywriter. This advertising agency had trainers come in and teach all the creative people Photoshop, Illustrator and Director, which was very cutting edge in the early 90’s. 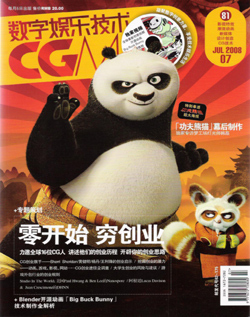 I got hooked on making 2D animated cartoons in Macromedia Director (similar to Flash) and quit my job because I did not like selling things to people they did not need. Moved to Prague to write the great American novel for a few months (fell apart in Act 2 for lack of good structure), then moved back to San Francisco where multimedia was starting to happen in a big way. I ended up at San Francisco State, which had the best digital arts program at the time in 1993. Nathan Vogel was the 19 year old wonder kid who was teaching all of the DV and 3D animation classes, fresh off of winning the MacWorld Quicktime Festival in 1992 with a 3 minute 3D/DV movie called “Media Man In the Net.” Nate and I fell in love at first sight of his amazing film and he made me his teaching assistant, which meant I got classes for free. This helped a great deal since my parents had cut me off financially after they realized law school was not in my plans. My sister had already become a lawyer and was doing quite well. Nate and I have been together ever since with our mutual love of digital fimmaking being part of the super heart glue. Being a digital filmmaker or animator means you love what you do and are prone to working all the time. Having a relationship with someone who compliments your dream paths and skill sets is key. Nate then got a job from one of his students running a start up doing SGI animations for Bill Gibson’s famous book “Neuromancer” being turned into a space opera with projected 3D sets. 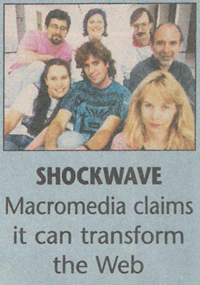 In March of 1995 I got a job at Macromedia working with five other people on the Shockwave Team. Our goal was to put Director online so people could create animations and games for websites. You could only view text and pictures online at that time. Everyone ignored us at Macromedia for the first six months or so, then Shockwave was announced at the Macromedia User Conference and the stock priced doubled in about two hours. The internet was just starting take off with Netscape. Macromedia became a web-focused company almost overnight and our happy little team went from 6 to 50 people in a week. My job at the time was the lead Shockwave Artist and QA Engineer. I made the first Shockwave movies on the web to test the code for each build version. Part of my job was also to travel around to user groups and conferences and give speeches and demos about how to make Shockwave movies. I was the leading world Shockwave expert for a time and wrote my first book for Macmillan Publishing called “Teach Yourself Shockwave” in 1996. The lead guy on the team was Harry Chesley who created the first PowerMail program for Apple. Also on the Shockwave team was Sarah Allen who help write the code for CoSa later known as After Effects. Macromedia was a great company to work for in so many ways. They even had a slide you could use to get between floors and pizza and beer parties every Friday. Nate and I both had great jobs, but we still did not like working for other people or going to an office each day. I was getting lots of calls to do Shockwave projects for outside clients and I did not like being part of the new 50 person team all of sudden at Macromedia. Nate and I quit our jobs on a leap of faith and started Minds Eye Media full time in early 1996. We worked out of his house in San Francisco at first to keep the overhead low, and did side projects in 1995 while working at our other jobs to test the waters. 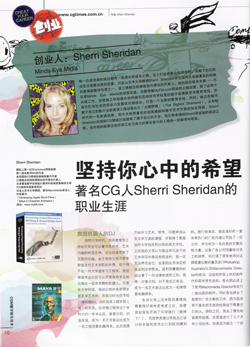 Minds Eye Media became one the most cutting edge digital arts studios in the world very quickly. 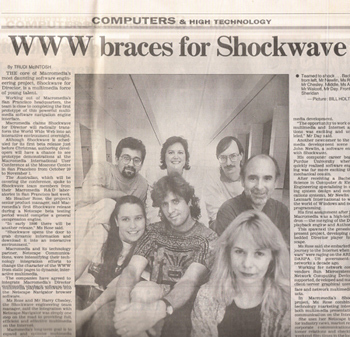 Nate was an SGI 3D expert and I was a Shockwave whiz. We did lots of big projects including the first all digital music video for a major record label Geffen/Universal in 1997 called “Beyond” featuring a bluescreen singer against 2D and 3D sets. Beyond won a bunch of awards including “Best Music Video” at the World Animation Festival in Pasadena and world premiered and toured with the ResFest in 1998. We taught classes at the Academy Of Art University to cherry pick the best students for our company projects. In 1999 we wrote the first big Maya book “Maya 2 Character Animation” (1999 New Riders) that was a huge international bestseller. At one time Minds Eye Media had 40 contractors and 11 full time employees doing huge multimillion-dollar video game and film projects, along with a huge overhead to keep the machine running. We had to make a choice around 2002 to get big and take gigs we did not want to do to pay bills, or downsize and get back to what we loved doing most, which was making our own movies and working in our home studios on our own schedules. Looking back over my career path, the most important thing was to follow my heart to do what I really wanted to do at each step, while meeting an amazing network of people who I still work with today. Many of our old multimedia friends are now the heads of big companies or projects all over the world. Currently, we are assembling a San Francisco dream team to create our first 3D HD feature film based on the example story from my last book called “The Bigfoot Shamans.” My meditation practices are showing up in my stories and I want to see how you can shift viewers by showing spiritual states with digital film tools. Do you have any successful experiences using skills from different jobs and subjects together? Everything I ever learned I am using right now to do my first 3D feature film. In my experience, life is very mysterious in the way it seems to put you in the right place at the right time, meeting the right people. All of the math and science I learned in my engineering classes made learning software easy to me. All of the English, mythology and philosophy classes I took help me to tell universal visual stories. Working at the advertising agency taught me how to run a cool creative company, put visuals and words together to manipulate viewers emotionally, and how important marketing is for a successful product. Working at Macromedia helped me to build a great network and learn about running tech companies. Teaching story to 3D Maya animators for four years at the Academy Of Art University lead me to become the leading world expert on story for digital filmmakers. I could see the magic happening in the future on story level since the software was getting easier and easier to use. Working at Sequoia Capital helping to start YouTube and Meebo, inspired me to create my own start up MyFlik “Your Online Movie Studio”. If you do what you love and follow your heart, you will end up in the perfect place. Just make sure you know how to pay for the basics when the bills are due each month - this is a trick all artists need to learn to live in the world today. Are there any subjects started by you and could you tell us some more details? I was one of the first people to teach story to 3D animators and digital filmmakers. I already had a good background in literature and computers, so the two got meshed together by me in a new way. After teaching over 4000 graduate students at the Academy Of Art University in San Francisco, I also learned what story techniques worked and what did not work. My job was to take them from a new graduate student to a final script and animatic for a 2 minute Maya thesis film in 15 weeks. Many of the students were from other countries, with English as a second language, so I had to communicate a universal visual story making process and keep it simple. I call what I do Visual Narrative Conceptual Design at cocktail parties in San Francisco, but my expertise is really story for digital filmmaking. In the past (only a few years ago), the screenwriter just wrote the script, then sold it to a studio or director to create. Films use to cost about a $100 a minute just to shoot and process. These days you can make a feature film for a few thousand dollars using digital technology. Filmmakers are now expected to write, direct, edit, animate, market and distribute their own films. Having to do all of these things yourself requires a different story head mindset. You need to be able to write a scene people will want to watch, create it for as little time and money as possible and know how to fix it when it is not working in the final cut. Not many filmmakers have time to read the top 20 screenplay books and then figure out all of the invisible structure that needs to be built up in each scene. “Writing A Great Script Fast” is the ultimate story class for digital filmmakers since it teaches just the essential things you need to know, and opens the door for almost anyone to approach a film idea with the mindset of a Pixar level story artist. Story is the hardest thing to teach right now. Learning the software is easy, but creating a film idea people want to watch is the hardest part. What are you doing now? Could you tell us something about your job now? Right now I am working on several projects. The first and most important to me is the new 3D HD film “The Bigfoot Shamans.” I get very excited about working on my own film - this is how I know it is on my heart path. This story has been in preproduction for eight years making it very hard to pull back together into one idea. The new Writing A Great Script Fast process is working like a charm. This is the first time I have had so much fun writing a script too. All I have to do is fill in my workbook and the story just falls into place. 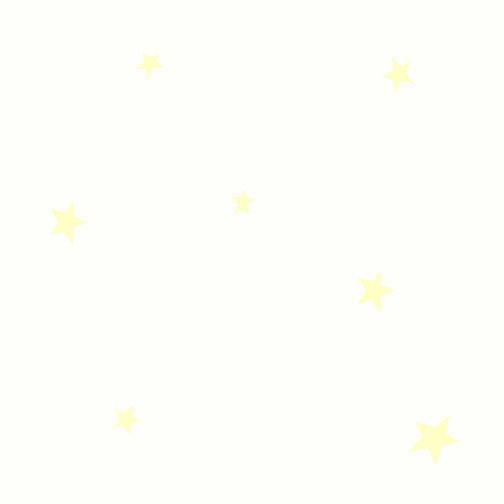 The second thing I am working on is getting MyFlik.com going. MyFlik has two basic parts, a free online digital film school and an online movie studio that helps develop, fund, create, produce, market and distribute digital films. Film school is really expensive and not everyone can afford to go, so I thought why not put all the information online for free? The MyFlik dream is to fund 1000’s of low budget digital films each year with great stories. I think most filmmakers want to work on their own stories at some point and MyFlik is going to be their online support system. It would be great to see families making films together or even villages in Africa. The third big thing is creating a new learning system in California to pull together the digital media arts programs in all the schools, and then partner them with industry for workforce development. This system will hopefully serve as a model for the rest of the country and maybe the world. Right now the schools are all doing their own thing duplicating lots of hard lessons. My idea is to create an online resource where all of the basic classes can be found with instructional videos to support schools with less developed programs. I have been spending lots of time in Sacramento with the state lawmakers working to pull this huge network of resources together. France has a great system where companies come into the schools to help develop the courses they want their employees to know. The schools in California are no longer producing the types of graduates companies in the state want to hire. Many high schools have a digital media arts program run by one dedicated teacher and we are looking for ways to support them by using existing nonprofits and industry partners. All of the major entertainment and technology companies want this to happen. The hard part is getting everyone to agree on one system idea. I am going on a California digital story teaching tour this fall to get a first hand look at where everything stands and where the most help is needed. I am also still the Creative Director at Minds Eye Media doing some side projects and helping to develop other films for companies going into production. 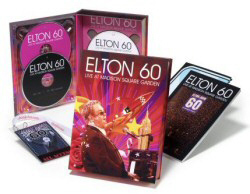 We do things like the background 3D HD visuals on the 180-foot screen behind Elton John’s 60th Birthday Party at Madison Square Garden. But when I follow my bliss, it always leads back to telling my own stories and inspiring others to do the same. I believe great stories have the power to change the world. A billion new voices are about to be heard in this convergence of emerging technology for digital filmmaking, animation and online viewing. And I want to teach them all how to tell a story people will love to watch!